Reading is one of the most important skills a person can have. And yet, most people say they read four or less books per year. A love for reading helps out in all school subjects and work — even math requires our literacy. When we love to read, we do it more, and we become more articulate, more imaginative, and happier. Every parent wants their kids to ditch the screens and instead turn the pages, but how can you make that happen? Resurrection Christian School puts so much value on not only reading books, but developing a love for reading itself. 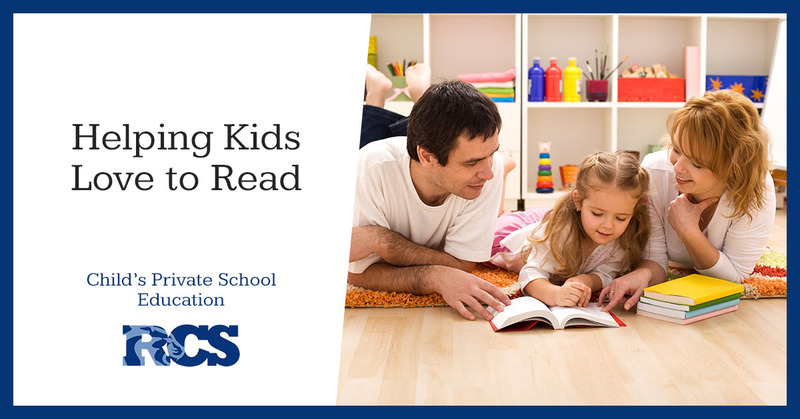 Our private school in Loveland incorporates reading at all turns, but we know that most parents wish their child was reading more (and enjoyed doing so). We’ve compiled a list of ways you can help instill a love of reading in your household. Try these out, and contact RCS to find out more about enrollment! As Brené Brown says, “The question isn’t so much ‘are you parenting the right way?’ as it is ‘are you the adult you want your child to grow up to be?’” Kids pick up on everything that we do. If we want them to be kind, generous, and empathetic, we need to embody these very principles in our day-to-day life. The same goes for reading. We know that, as a parent, you are beyond busy. You’re constantly swamped. But if even you can spend five minutes a day reading, or putting down your phone for a few minutes and swapping it out for a book instead, this sets a positive tone. It shows that you prioritize reading, and your kids will absolutely pick up on the example that you set. You don’t have to own a personal library to help your child love reading. After all, books can be expensive, and not as worthy a purchase if only read once or hardly looked at at all. However, trips to the library or finding a book sale are excellent opportunities for your little one to start gaining exposure to reading. If your child is obsessed with tractors, they might not be as inclined to read a book about boats. This doesn’t mean you need to limit their reading experiences — being exposed to different materials is how we find out what we like! But it does mean that you should be mindful of what might pique your child’s interest and what might have them running off in the other direction. Take time to discuss books that they (and you!) like to read. By creating a dialogue around reading, you’re establishing a culture where reading is the norm. For some, reading comes easy. For most, reading is hard. Which is easier: letting your mind melt while scrolling through social media, or trying to concentrate on a complicated and lengthy biography? Even if we’re good readers, it doesn’t always mean we gravitate towards reading instead of an easier task. Our private school works with countless students who have the skills, but struggle with the focus and concentration that reading requires — it’s understandable, because reading is difficult! Be transparent with your child. Talk to them about how reading is a challenge, but that’s part of the fun of it. Pushing yourself to become a better reader helps you improve in so many ways. Sometimes we read things that we fly through, other times it takes us weeks to work through a tough book. Always be a source of encouragement for your child, and let them know you’re proud of them for their perseverance. In our next blog, we’ll cover a few more strategies to help encourage young readers. As challenging as reading can be, it’s one of the greatest experiences in the world, and it’s a joy that no one should be deprived of. Stay tuned for more tips from Resurrection Christian School in Loveland! Offering preschool, kindergarten, elementary, middle, and high school private education for families in the Northern Colorado area, you can find the academic and Christian experience you want your child to have at RCS. Read testimonials and contact us today to learn more about enrollment.